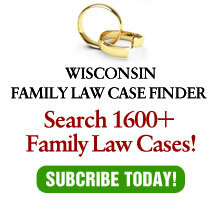 One of the things which gives me pride in the Wisconsin legal system is that unlike certain other states, I have found it to be generally free of political favoritism. Therefore, I hope this story which just appeared in the Wisconsin Law Journal is incorrect. Guess what? Weaving is probable cause for a stop. The odor of alcohol is probable cause for asking for a breathalyzer. So, unless something is wrong with this story, the only reason to dismiss would be the defendant’s father. I hope there is more to the story than this…otherwise, it is a sad day for the Wisconsin legal system.